Not All Cage Free hens are created equal! On the Mouw farm, the girls receive natural sunlight and fresh air all day, every day. Some Cage Free hens live in fully enclosed systems with no fresh air or sunlight. If you want a true Cage Free egg, you want Rosemary Farm eggs! Billy Mouw started gathering eggs on his dad’s farm when he was just five years old and loved it! Instead of sitting in a car seat, his parents often put him in an egg case, where he would ride with them all over Southern California to deliver fresh eggs to stores. 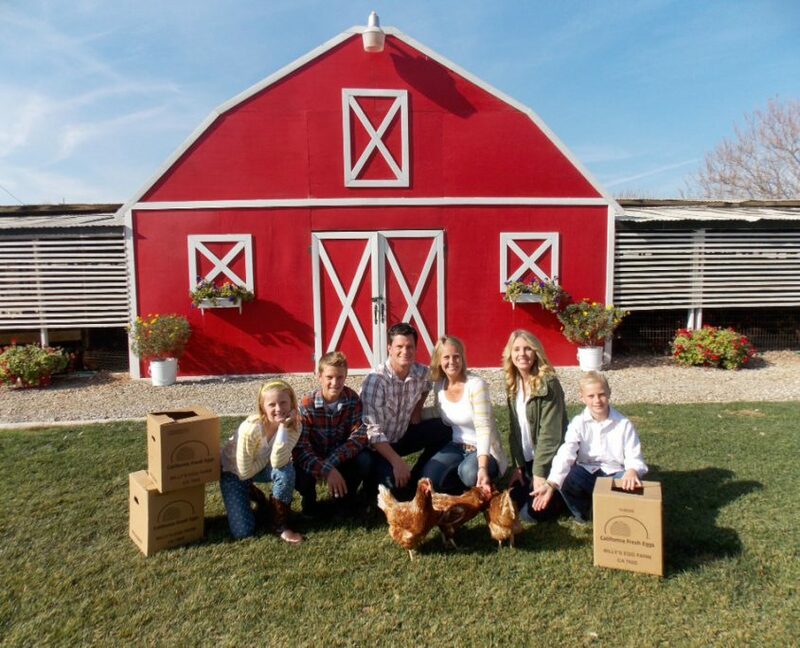 Billy and his family have now been raising hens in the Chino area for over 20 years. On their farm, Billy and his family raise brown and white hens, fed by hand, one scoop of feed at a time. They gather, wash, and pack their eggs daily, allowing the eggs to be delivered to stores within 24 hours of being laid. We’re so grateful to have the Mouw’s part of our Rosemary family.